Since the advent of the first modern below-knee prosthesis (joint and lacer) in 1696, the world has seen unprecedented advances in virtually every facet of medical science, yet limb discomfort, pain, and soft tissue breakdown remain a way of life for roughly half of today’s ambulatory, below-knee (transtibial) amputees. These largely avoidable daily struggles are traceable to poorly crafted limbs, ill-designed prostheses, and/or inadequate upkeep of them. Fortunately, the solution to the majority of these struggles is clear-cut and entirely achievable. Primarily, it requires a team effort by surgeons, prosthetists, and amputees: as each has a unique role to play. Surgeons must employ the latest surgical principles to optimize the limb for prosthetic use (Chapter 2), prosthetists must implement the latest design principles to create a responsive, comfortable, and pain-free socket interface (Chapter 4), and amputees must follow the guidelines to maintain their optimized limb and prosthesis (Chapter 5). However, as discussed in Chapter 2, certainty of a pain-free interface will also require a commitment by researchers to find solutions to the yet unresolved surgical issues (e.g. neuromas and bone spurs). 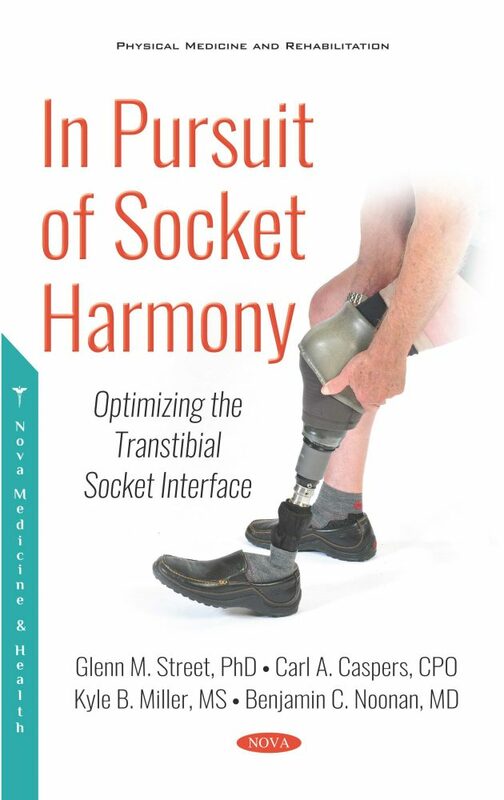 While one can never expect the socket interface to perfectly replace the responsive and pain-free connection lost during amputation, finding solutions to the unresolved surgical issues, and following the latest principles and guidelines discussed in this book unquestionably offers transtibial amputees with their best chance of achieving the active, comfortable, pain-free, and productive lifestyle they deserve. Bengt Söderberg, CPO, Scandinavian Orthopaedic Laboratory, Owner, Past President of ISPO International - To read the review, click here.